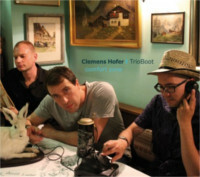 TrioBoot have been invited to the 37. 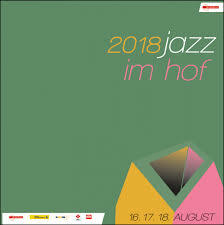 Bayerisches Jazzweekend in Regensburg; it was a fantastic venue there, lots of people, very good sound ... so i was very happy about this gig; the cast of TrioBoot was as always Michiru Ripplinger on guitar and Klemens Marktl on drums ... we had so much fun!! For the 2nd set, TrioBoot featured the great Tubaplayer Jon Sass, to play his music! It was big fun for us and the audience ... a very nice experience!! 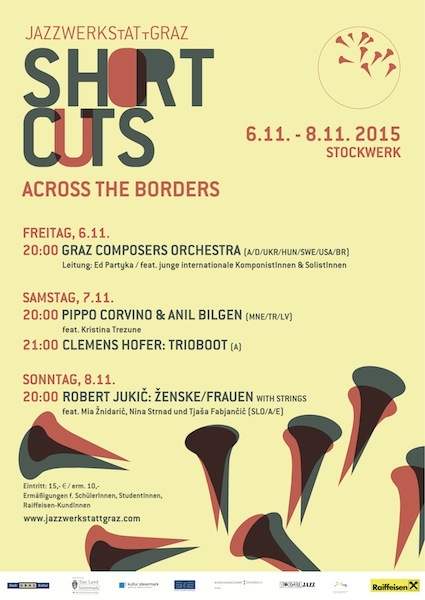 If you like to capture the mood of this concerts, please visit my YOUTUBE-channel ! 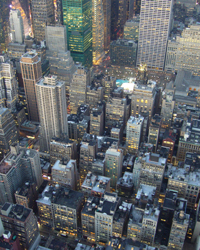 In March 2018, i visit, together with my Daughter, the Cities of Sao Paulo and Rio de Janeiro/ Brazil! We had a wonderful time there together with my friend and principal trumpet of the Jazzsymphonia Sao Paulo Mr. Junior Galante. I played some gigs with the Jazztrio of Thiago Alves (Bass), Paulinho Vicente (drums) and Felipe Silveira (piano) ... it was a big pleasure, to play with this fantastic guys!! 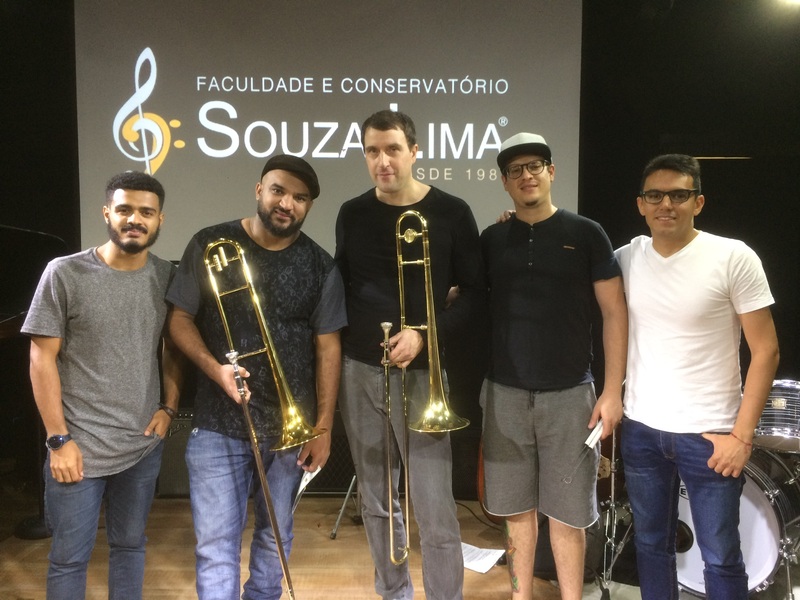 At Souza Lima Conservatorio in Sao Paulo i was allowed to give a masterclass for the students there, especially for the trombone class of the master himself, Jorginho Neto! Big Thank for all this wonderful moments in Brazil! .... The Master Jorginho Neto (2nd from left) and the Band of the Masterclass; .... i can not remember any more the names of the musicians ... sorry for that !!! 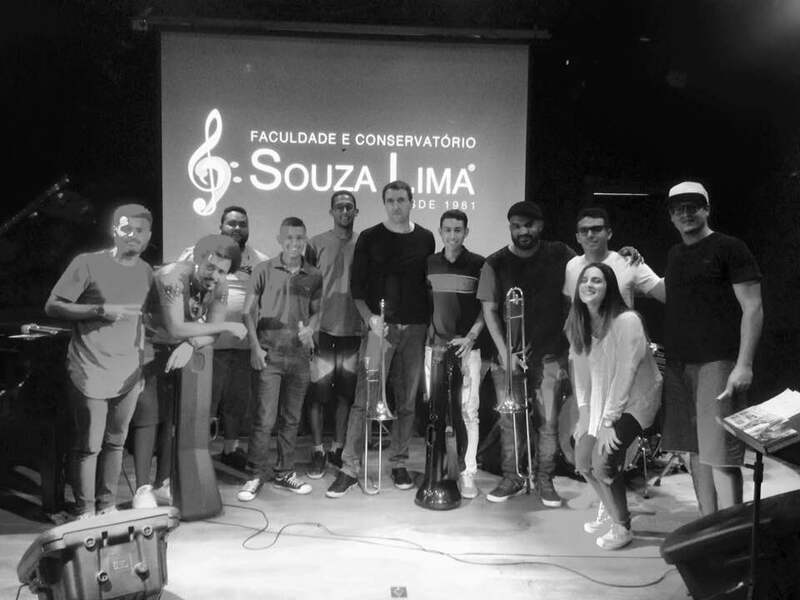 .... after the Final Jam .... the fantastic Trombone Class of Mr. Jorginho Neto at Souza Lima Conservatorio, Sao Paulo ! 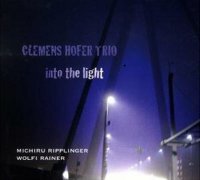 Posaunist Clemens Hofer und seine kongenialen Kollegen Michiru Ripplinger und Wolfgang Kendl verfolgen einen sehr eigenständigen Jazzsound, einen, der auf mitreißende Art eine große Liebe sowohl für weite Melodiebögen wie auch für alle möglichen freien Formen dieses Stils erkennen lässt. Jeder der drei hochtalentierten Musiker ist ein Meister seines Faches. Absolut empfehlenswert!!! Danke an Hans-Dieter Gründefeld und SONIC für den gelungenen Artikel in der Mai/ Juni- Ausgabe! Danke Michael Ternai, für die schöne CD- Besprechung zum Album "Comfort Zone" für die MICA - Music Austria! 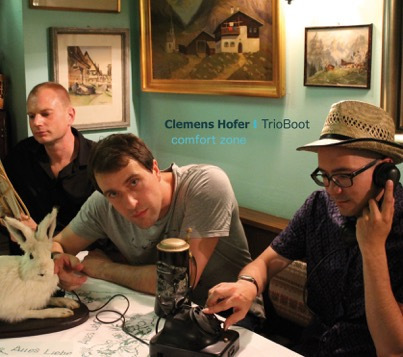 weitere Album- Rezensionen im Menüpunkt "Disco"
After a long working period our new album "COMFORT ZONE" is released on Jive Music! NEW CD OUT NOW !